Loving God and loving our neighbors is the doctrinal foundation of ministering; home-centered, Church-supported learning; Sabbath-day spiritual worship; and the work of salvation. My brothers and sisters, it’s difficult for me to believe that it was 71 years ago, in 1948, that I was a missionary in England and 44 years ago that my wife, Barbara, and I took our family to Canada when I was the president of the Canada Toronto Mission. 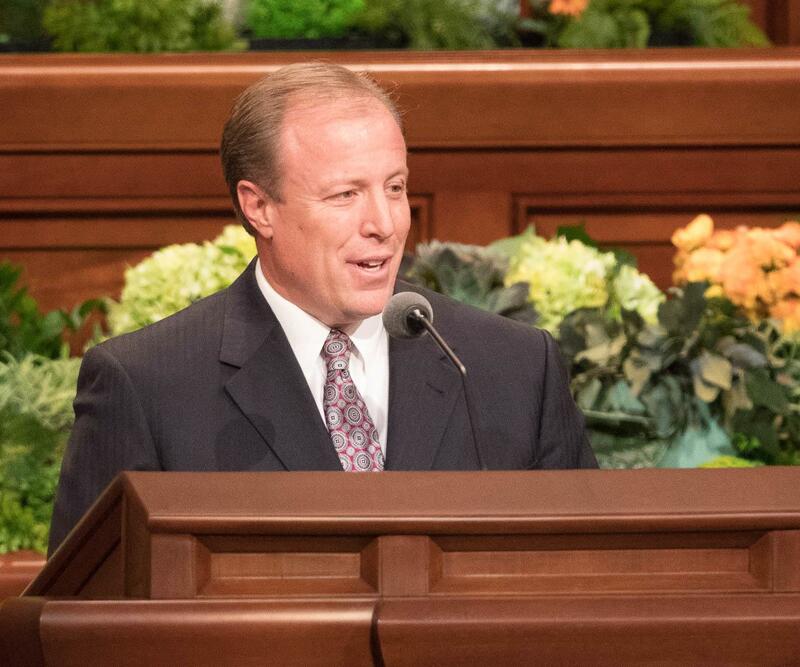 While serving there in April 1976, I was called to the First Quorum of the Seventy, and unexpectedly in 1985, I was called to the Quorum of the Twelve Apostles. 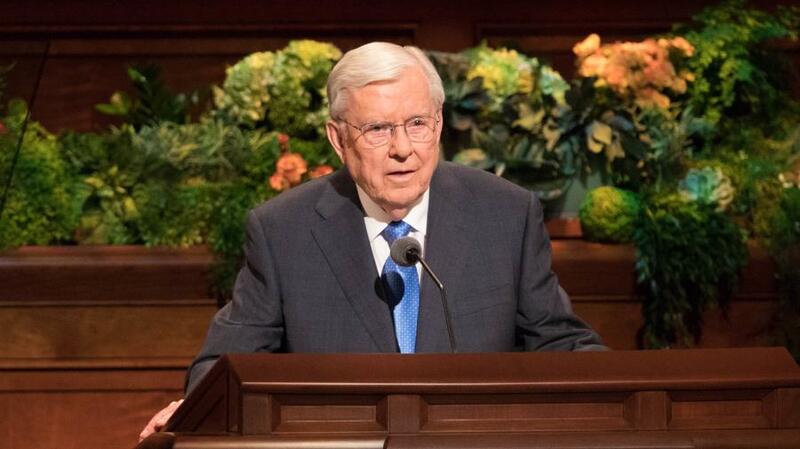 Unlike my previous callings, which included future releases, my release from my calling to the Twelve is not the best option right now; however, I pray that day will come only after I have finished all the Lord has called me to do. 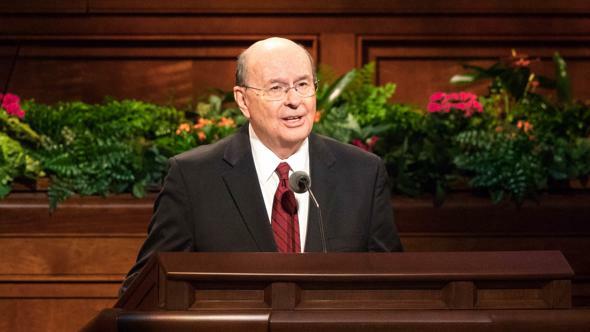 In thinking about my last 43 years of service as a General Authority and the privilege I have had to minister to Heavenly Father’s children, I have come to realize more fully that He wants all of His children to find peace, joy, and happiness in their lives. 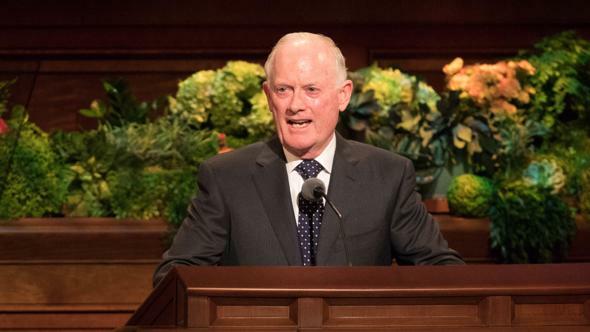 The prophet Lehi taught, “Men [and women] are, that they might have joy.”1 There are many reasons why peace, joy, and happiness may elude us in this life, including poverty, war, natural disasters, and unexpected setbacks in employment, health, and family relationships. But even though we cannot control those external forces that impact our lives here on earth, as we strive to become faithful disciples of the Lord Jesus Christ, we can find peace, joy, and happiness despite the worldly troubles that swirl around us. 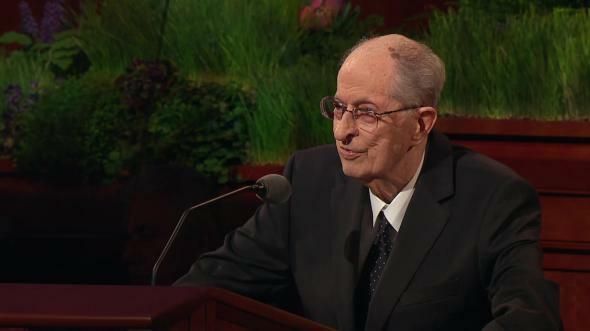 One of my children once said, “Dad, I wonder if I will ever be able to make it.” I responded, “All Heavenly Father asks of us is to do the very best we can each day.” Brothers and sisters, do the best you can do day after day, and before you know it, you will come to realize that your Heavenly Father knows you and that He loves you. And when you know that—really know it—your life will have real purpose and meaning and you will be filled with joy and peace. The scriptures teach us that Satan desires to lead people into darkness. His every effort is to shut out the light and truth of Jesus Christ and His gospel. As Lehi taught his children, the devil “seeketh that all men might be miserable like unto himself.”4 If Heavenly Father’s “work and … glory” is “to bring to pass the immortality and eternal life of [men and women],”5 Lucifer’s “work” is to bring to pass the misery and endless woe of God’s children. Sin and transgression dim the Light of Christ in our lives. That is why our quest is to bask in the Light of Christ, which brings peace, joy, and happiness. 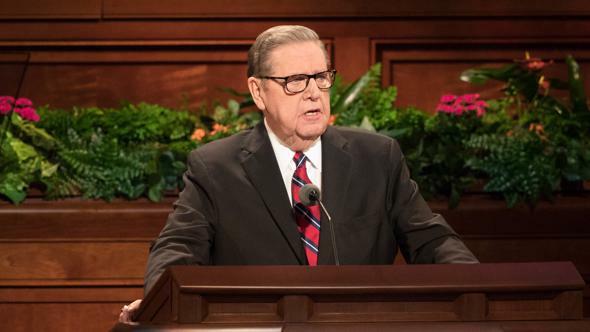 In the last 18 months, the Lord has inspired His prophet and the Apostles to implement a number of wonderful adjustments. However, I worry that the spiritual purposes of these adjustments might become lost in the excitement about the changes themselves. Obedience to those two commandments provides a way to experience more peace and joy. When we love and serve the Lord and love and serve our neighbors, we will naturally feel more happiness that comes to us in no better way. Loving God and loving our neighbors is the doctrinal foundation of ministering; home-centered, Church-supported learning; Sabbath-day spiritual worship; and the work of salvation on both sides of the veil supported in the Relief Societies and the elders quorums. All of these things are based on the divine commandments to love God and to love our neighbors. Can there be anything more basic, more fundamental, and more simple than that? Living the true, pure, and simple gospel plan will allow us more time to visit the widows, widowers, orphans, lonely, sick, and poor. 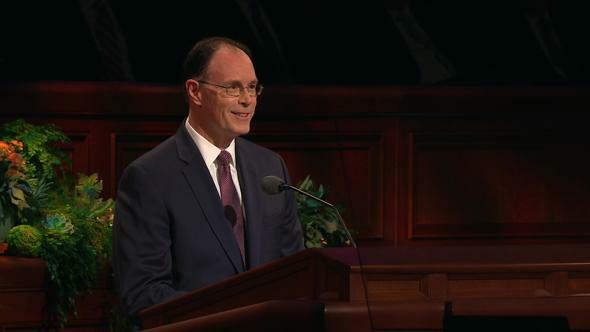 We will find peace, joy, and happiness in our life when serving the Lord and our neighbors. 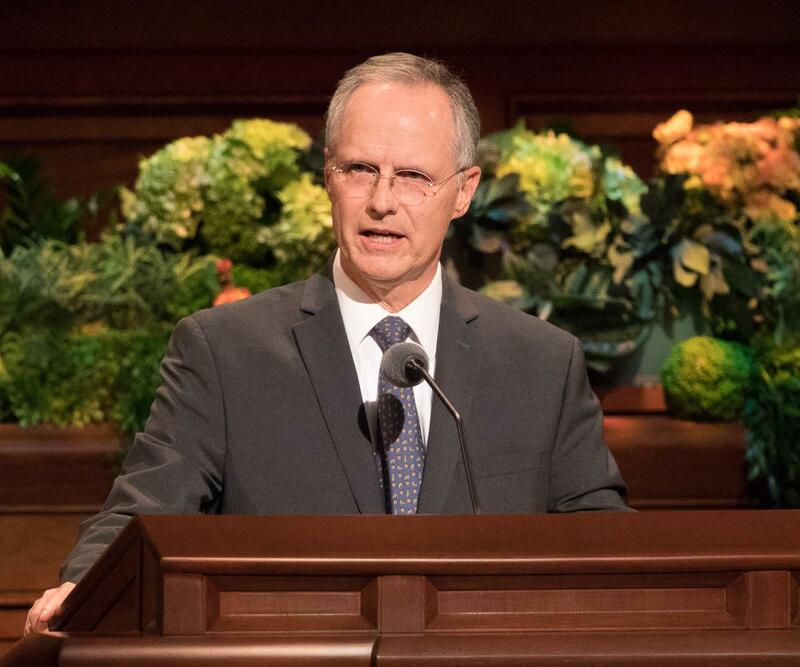 The Sabbath-day adjustments that emphasize home-centered, Church-supported gospel learning and studying are an opportunity to renew our spirit and our devotion to God within the walls of our homes. What could possibly be more simple, basic, and profound? 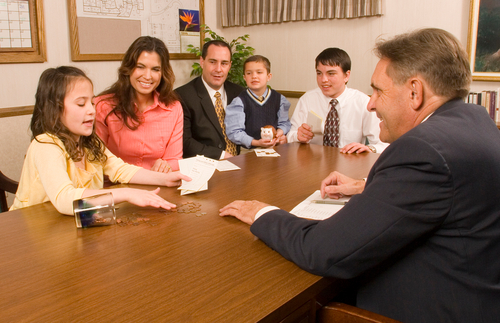 Brothers and sisters, can you see that learning and teaching the gospel in our families is an important way to find joy and happiness in our lives? Please note some of the key words in this revelation: joy, rejoicing, thanksgiving, cheerful hearts, glad heart, and a cheerful countenance. It sounds to me like Sabbath-day observance should bring smiles to our faces. 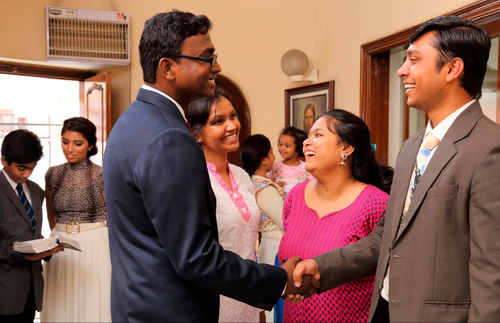 As we minister in a higher and holier way, please consider how essential it is that we greet everyone who comes to our Church meetings, especially new members and visitors. We should all enjoy singing the hymns and listening carefully to the words of the sacrament prayers with an open heart and mind. Testimonies of faith in our fast and testimony meetings are led by a member of the bishopric, who shares a brief testimony focused on the plan of happiness and the true, pure, and simple gospel of Christ. All others should follow that example. We need to remember that there are other appropriate places to tell stories or share travel adventures. As we keep our testimonies simple and focused on the gospel of Christ, He will provide spiritual renewal as we share our testimonies with one another. 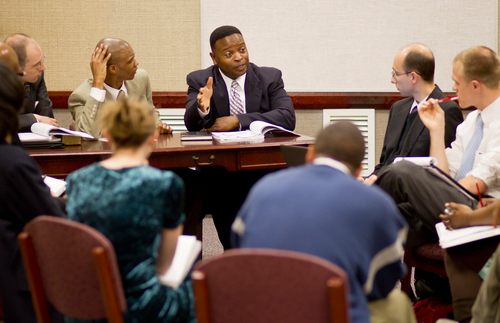 Effective ministering is best viewed through the focused lens of loving God and loving our neighbors. Simply stated, we minister because we love our Heavenly Father and His children. Our ministering efforts will be more successful if we keep our ministering simple. The most joy comes from the simple things of life, so we need to be careful not to think that more needs to be added to any of the adjustments we have received to build faith and strong testimonies in the hearts of God’s children. Let’s not complicate things with additional meetings, expectations, or requirements. Keep it simple. It is in that simplicity that you will find the peace, joy, and happiness I have been talking about. 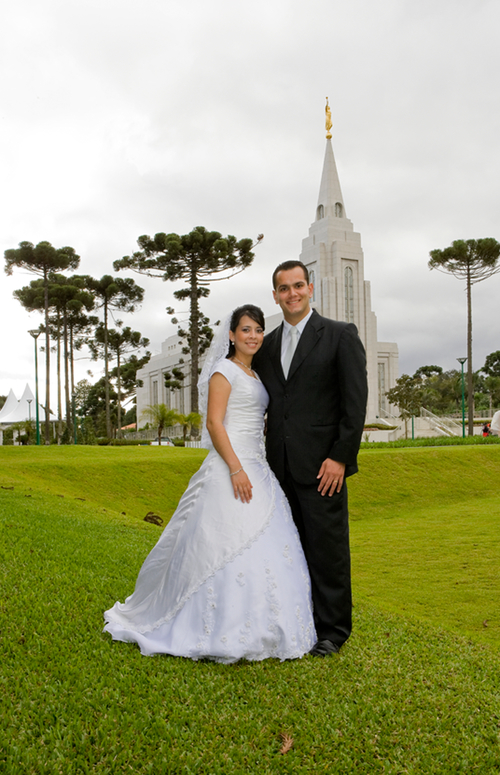 “Adults: Encourage each adult to be worthy to receive the ordinances of the temple. Teach all adults to identify their ancestors and perform vicarious temple ordinances for them. 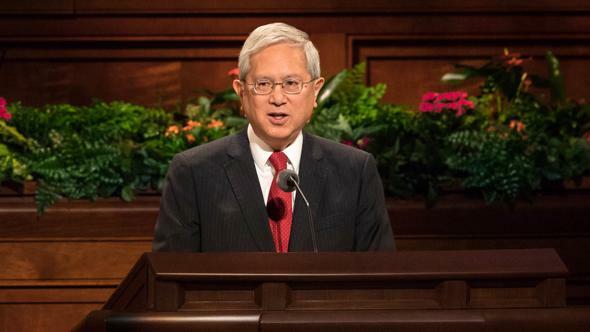 “Youth: Help prepare each young man to receive the Melchizedek Priesthood, to receive the ordinances of the temple, and to be worthy to serve a full-time mission. 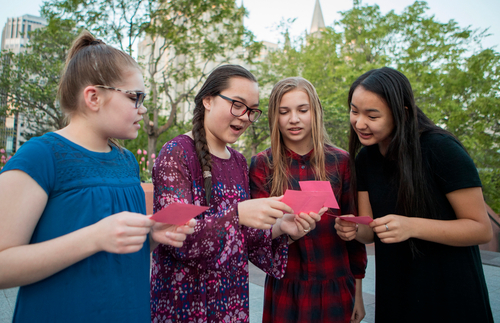 Help prepare each young woman to be worthy to make and keep sacred covenants and receive the ordinances of the temple. Strengthen youth through participation in meaningful activities. My service in the Church has blessed me with many remarkable and special spiritual experiences. I am a witness that the Lord directs His Church to accomplish His purposes. I have received divine guidance far beyond my capacity. The joy of gospel living for me has been centered on the true, pure, and simple doctrine and gospel of Jesus Christ. 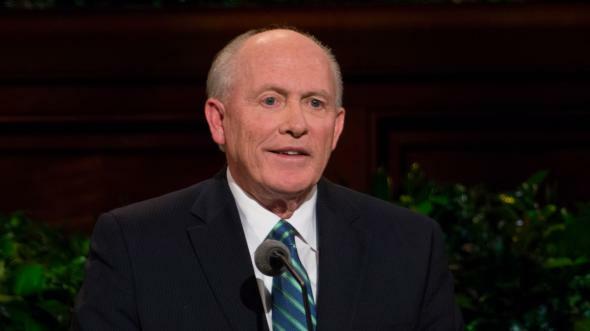 I have served under the keys and directions of six prophets and Church Presidents, from Spencer W. Kimball to Russell M. Nelson. I testify that each one of them was and is God’s chosen prophet. They have taught us essential principles about the Church and the gospel and doctrine of Christ. 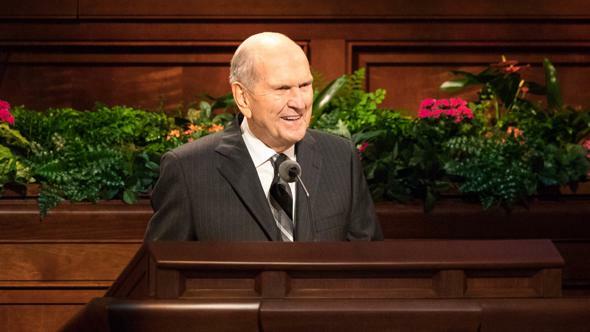 President Nelson is carrying the Lord’s work forward at a breathtaking pace. 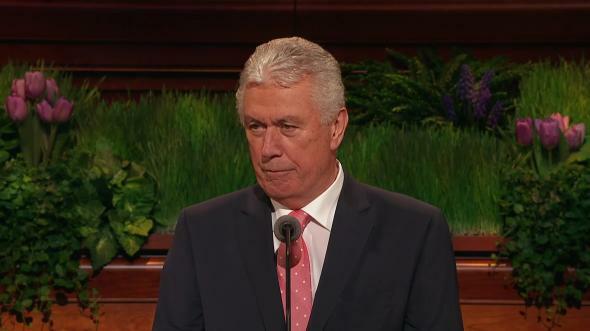 I say “breathtaking” because he’s the only one of the Apostles who is older than me, and I am having a difficult time keeping up with him! 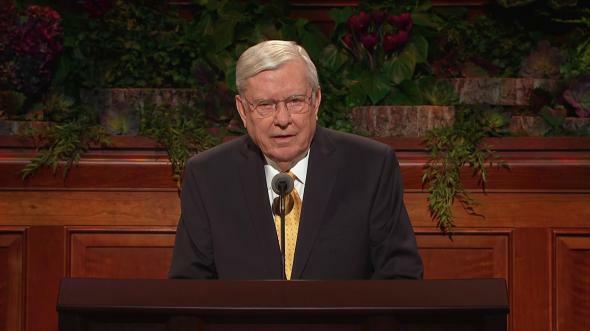 I am a witness that the priesthood keys and the mantle of a prophet of God are upon him. 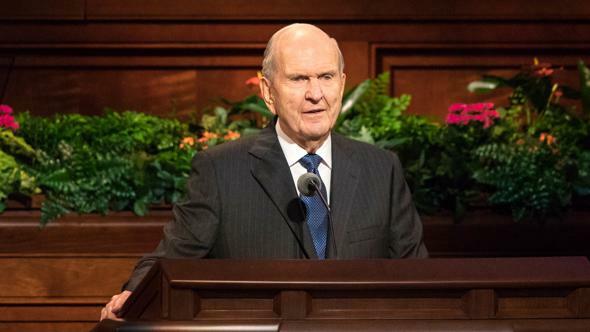 President Nelson teaches the true, pure, and simple gospel of Jesus Christ. I bear my testimony that Jesus is the Christ and this is His Church—of which I testify humbly in the name of Jesus Christ, amen. Joseph F. Smith, “Principle, Not Popularity,” Improvement Era, July 1906, 732. Joseph F. Smith, “Principle, Not Popularity,” 732. Hyrum Smith, in “What Is My Purpose as a Missionary?” Preach My Gospel: A Guide to Missionary Service, rev. ed. (2019), 6. Doctrine and Covenants 59:5–6; see also Leviticus 19:18; Deuteronomy 6:5; Matthew 22:36–40. Handbook 2: Administering the Church (2010), 3.4.